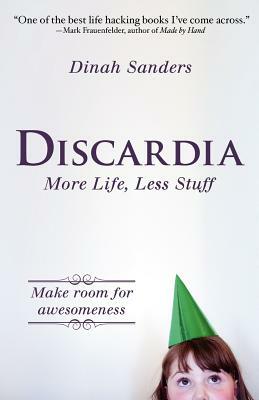 Let go of everything that doesn't make your life awesome With three key principles and numerous practical tips, Discardia--a new holiday--helps you solve specific issues, carve away the nonsense of physical objects, habits, or emotional baggage, and uncover what brings you joy. Dinah Sanders, productivity and happiness coach, draws on many years of experience to provide a flexible, iterative method for cutting out distractions and focusing on more fulfilling activities. Join others around the world who use Discardia's inspirational--but not sappy--approach, and put your energy where it counts: toward living the less stressful life of your dreams.